The future of Marvel is looking bright. It’s also (probably) going to take up more time than you might have bargained for. That’s because, according to Head of Marvel Studios Kevin Feige, the Disney+ streaming service and its crop of announced MCU shows will “intersect” with the new Marvel movies on the horizon in a major way. Whether that means crossovers, tie-ins, or introducing new characters in the testing grounds of Disney+ before unleashing them on the big screen, is anyone’s guess, but one thing is for certain: These Disney+ MCU shows are as about as close to essential as you’re going to get. Where the likes of Jessica Jones and Daredevil only mentioned wider events in passing, this is going to be a lived-in experience in the same way as Captain Marvel or an Ant-Man and the Wasp is. You just can’t miss a single second, lest you want to miss out on the complete picture. 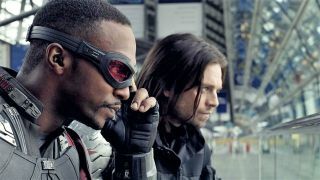 In case you’d already forgotten, the current batch of MCU shows coming to Disney+ include WandaVision, featuring Scarlet Witch and Vision; Falcon and the Winter Soldier, and a Marvel “What If?” series, outlining how things could have been very different in the MCU went down another path at crucial points in Marvel cinematic history. Here are some of the best upcoming movies coming your way in 2019!